Sail 4 Cancer is pleased to announce a far reaching respite programme in partnership with Blue Box Sailing. 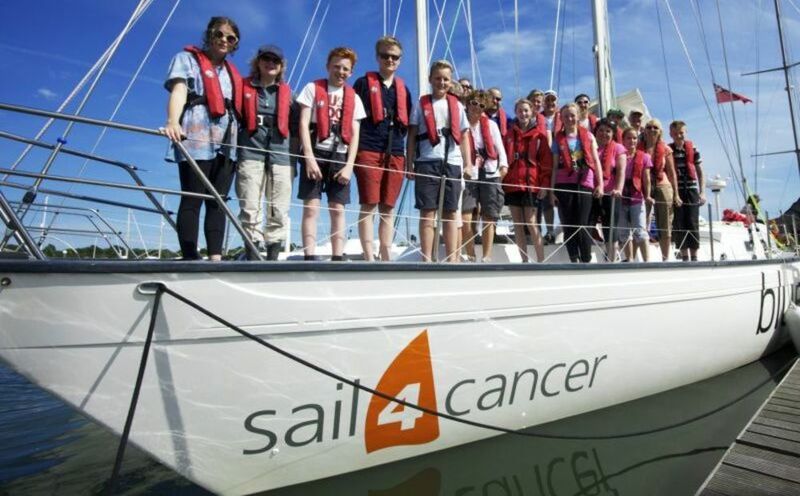 In addition to providing sailing experience days for Sail 4 Cancer beneficiaries, Blue Box Sailing will also carry large Sail 4 Cancer logos on the bows of its two Clipper 60 'Round the World' yachts. On selected days between June and September 2014, Blue Box Sailing will provide unique sailing experiences for sixty people living with cancer and their families. In an act of immense kindness, the costs of laying on these special respite days will be borne by Blue Box Sailing and will include crew, lunch on-board and the use of wet weather clothing. Graham Precey, Trustee at Sail 4 Cancer explained, "Blue Box Sailing has been a huge supporter of Sail 4 Cancer for some time. In fact, the first time I attended a Sail 4 Cancer event was on-board Blue Box's Whitbread 60 during Cowes Week in 2004. In partnership with Blue Box, we provided the most amazing respite day for several young families where a child was recovering from cancer." Graham continued "That experience during Cowes Week had a profound effect on me. Jono and Lisa were the perfect hosts and thought up all sorts of roles for the youngsters on-board, some of whom were very ill indeed. Sadly, some of those children are no longer with us but the memories of that day out on the water will live on for the families concerned. We're incredibly grateful to the team at Blue Box for all they have done for us." 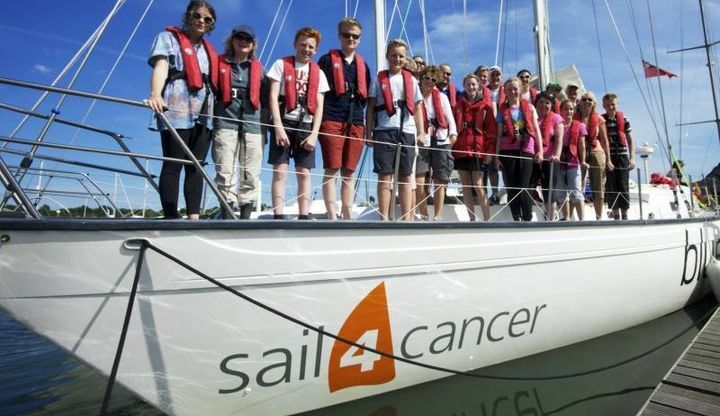 Commenting on the partnership Jono Bradfield, MD of Blue Box added "Sail 4 Cancer do a great job and I've seen the impact of their work for myself. Uniquely, they recognise that cancer affects the whole family and not just the cancer patient. Through the provision of family sailing days, we hope to give people something nice to look forward to after a period of treatment or after a bereavement. Long may our partnership continue!" If you have been touched by cancer and would like to join one of our sailing experience days with Bluebox, please get in touch using the form below!